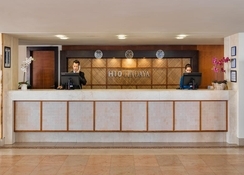 Located in Costa Calma, H10 Tindaya is a luxurious 4-star modern hotel on the beautiful beachfront of Sotavento, located on the south of Fuerteventura. Well-furnished rooms with modern décor, large outdoor pools, direct access to the sandy beach and lush gardens with a comprehensive array of guest services are some of the highlights of the hotel. 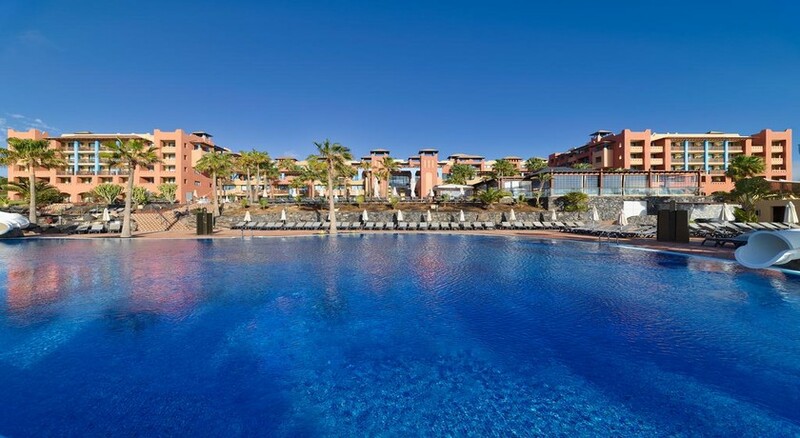 It also features a clutch of restaurants and bars serving delicious dishes and drinks, Despacio Thalasso Centre spa and a host of sports and recreation facilities. Kids get their own swimming pools and playground to let off steam. Spectacular views of the sea, warm hospitality and state-of-the-art facilities greet you the moment you set foot on H10 Tindaya Hotel. It has all the things you need to make your summer holidays special. Located 65 km from Fuerteventura airport, H10 Tindaya faces the beautiful beach of Sotavento in Costa Calma. The capital of Puerto del Rosario is 70 km away. The hotel itself is located in a quiet suburb of Costa Calma. Cafes, restaurants and bars are all a short walk away. H10 Tindaya Hotel has 277 well-furnished double rooms and family rooms, all well-furnished with a modern decor and opulent furnishing. The spacious rooms have en-suite bathrooms with showers, WCs and hair dryers. The rooms also come with direct-dial telephone connections, TV sets, air-conditioning, safes, mini-bars, refrigerators and lovely terraces. Disability access and non-smoking rooms are available upon request. H10 Tindaya Hotel has a main buffet restaurant that serves all the major meals of the day. There is a La Choza Snacks Bar that serves delicious light bites and snacks. There is also pool bar and a cocktail bar, which serve delicious alcoholic and non-alcoholic drinks. H10 Tindaya Hotel has 3 swimming pools (one of them is heated), 2 children’s pools, well-kept gardens and sun terraces, solarium, Balinese beds, billiards room, a multi-sport court, archery and shooting ranges, table tennis courts, French bowling arcades, giant outdoor chess ground, and even a mini-golf course. The Despacio Thalasso Centre offers several therapeutic and relaxing treatments, including a dynamic water zone with water jets, canons, waterfalls, a Jacuzzi, a sauna and Turkish baths. Various kinds of massages, facials and treatments are also available. The Daisy Club offers entertainment programme for children, with a variety of activities organised for kids aged between 4 and 12 years. Had everything we needed. Great value for the price we paid. Would return. Resort was beautiful and clean and has a beautiful Beach, the food was amazing. Nice hotel in good location. Food excellent and good choice. People need to be aware if you go half board you are not entitled to water unless you buy bottled water. You cannot use the mains fed dispensers. This doesn't apply at breakfast somewhat bizarrely when you can have juice, smoothies, coffee etc.